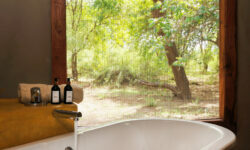 Potato Bush sets high standards in the new era for small exclusive luxury tented safari camps! 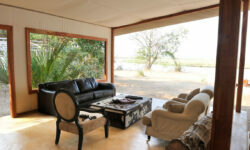 This African contemporary architectural design perfectly balances the raw structural integrity and natural beauty of solid Zambian Rosewood and dramatically compliments the use of traditional canvas. 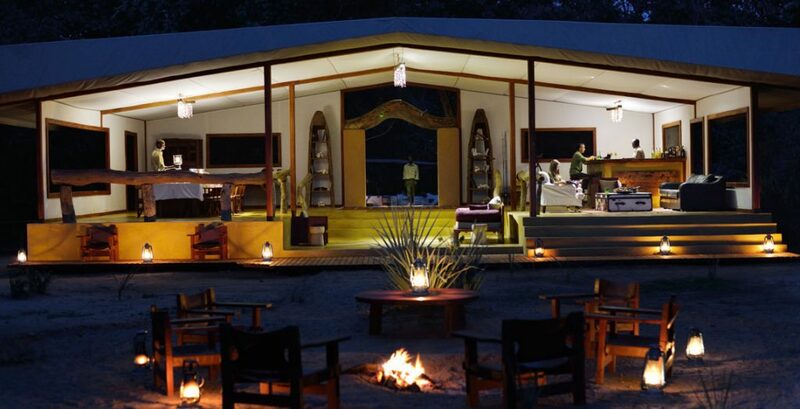 The Camp consists of 3 Luxury Safari Tents and 1 Two-bedroom Family Tent. 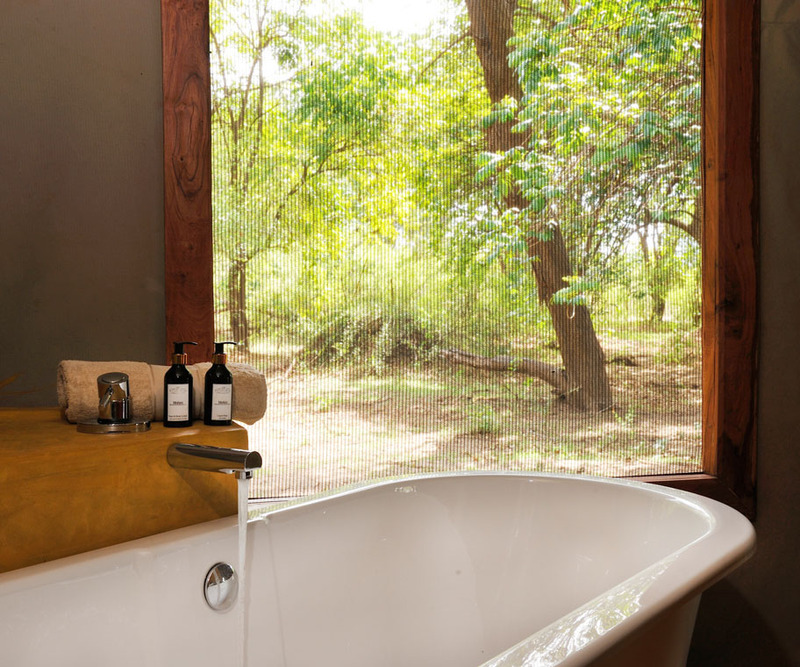 The 3 Luxury Tents are extremely spacious and have en-suite bathrooms with twin showers, twin basins and a full size four-claw bath tub. Large Rosewood folding doors lead onto the balcony which hosts a 2-person hammock and a private plunge pool, with well appointed furniture to compliment the ambience and architecture of the tents. 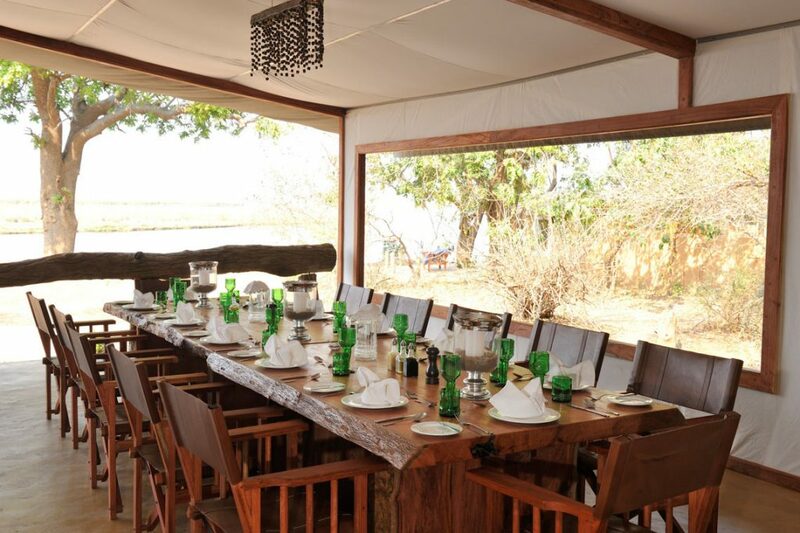 Each Safari Tent is perfectly positioned along the river with sweeping panoramic views, right in the very heart and most game rich location inside the Lower Zambezi National Park. 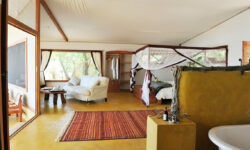 The Two-bedroom Family Tent is a massive 21m wide perfectly designed safari tent. This offers a huge central living, dining and balcony area which divides the two- bedrooms, both with en-suite bathrooms, twin showers, twin basins and bath tubs with views. 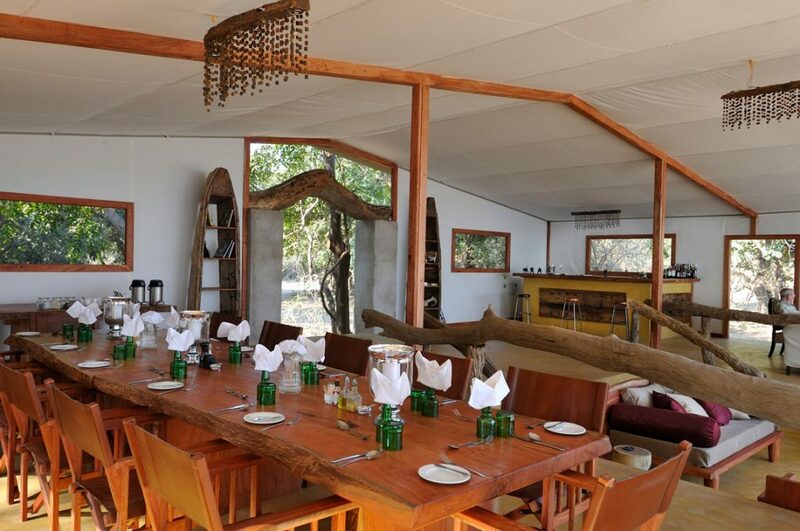 To accompany the architectural grandeure of this luxury tent, it also offers a large plunge pool, fully stocked bar and fridge, private dining table and furniture that compliments both the style of the tent and the surrounding environment. Perfect for families, or any party of 4 adults. 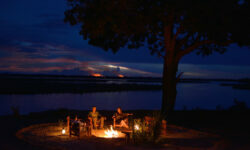 Each Tent is shaded by huge Acacia Tortilis and Mahogany Trees. 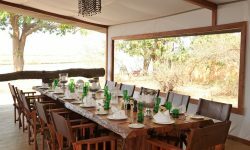 The entire camp is linked by raised timber board walks, enabling the camp to extend the safari season into early January. The minimum age for the camp is 4 years old. The camp has a pool, with tea / coffee and WIFI.